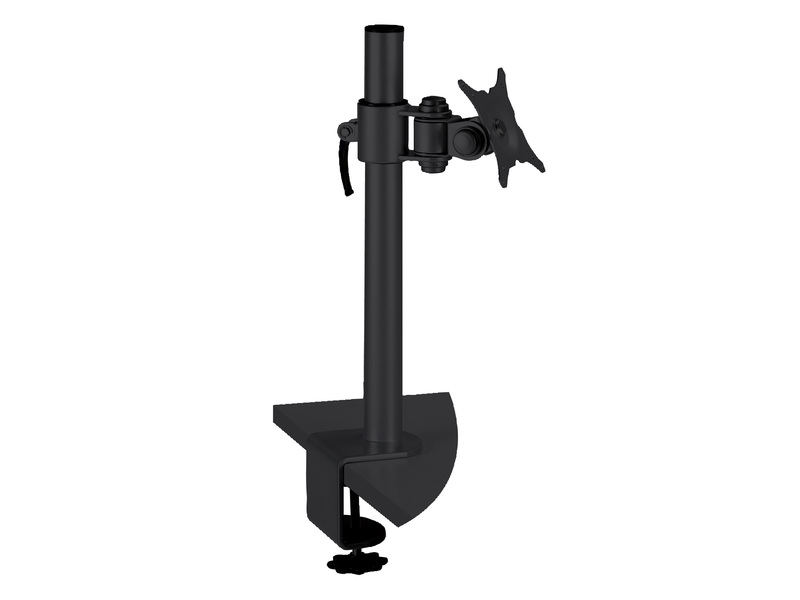 Q-Connect flat screen pivot monitor arm. Features a load weight capacity of 25kg. 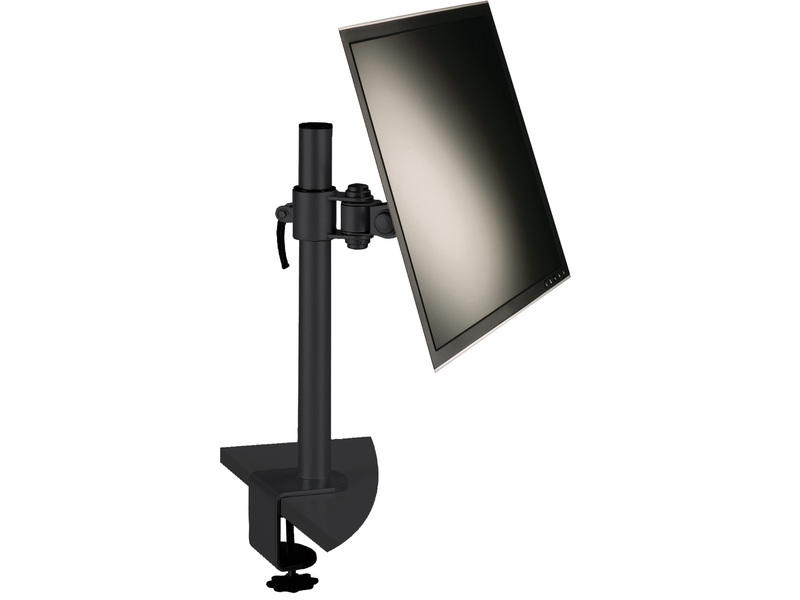 Height adjustable range 300mm and rotation range of 360 degrees. Can be fitted on a table thickness of 10 - 60mm. © Copyright 2019 Interaction-Connect S.A.